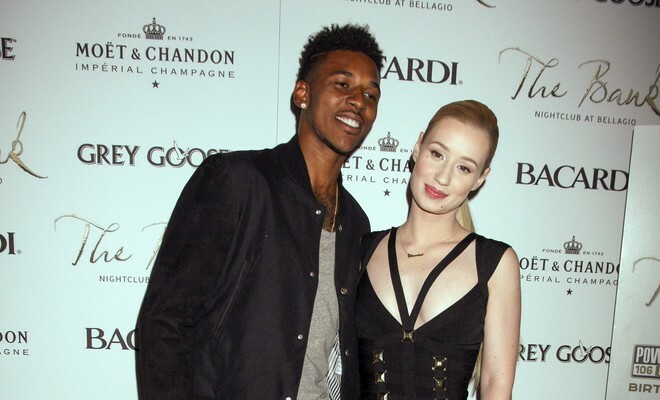 In latest celebrity news, singer Iggy Azalea showed up to the iHeartRadio Music Awards flashing her engagement ring. According to UsMagazine.com, this is her first public appearance since reports of fiancé Nick Young cheating surfaced. The celebrity couple has endured a great deal of drama and gossip, but with Iggy still sporting her engagement ring, we’re believing there is more to the story. This celebrity news has us curious as to the real story. What are some ways to keep gossip and drama from affecting your relationship? 1. Communication: If you and your partner are constantly communicating openly with each other, you won’t be worried about the gossip you hear because you’ll know the truth. Honest communication is the key to keeping your relationship out of the world of rumors. 2. Laugh it off: Some of the gossip people will spread about your relationship is so ridiculous, it’s laughable! Don’t take everything you hear so seriously. You know the truth, and that’s what’s important. Related Link: Celebrity News: Is ‘DWTS’ Star Maksim Chmerkovskiy Jealous of Fiancée Peta’s Partner? 3. Keep your business personal: When you keep personal details of your relationship private, the gossip won’t bother you one bit. You and your partner are loyal and know that. Anything anyone else says is moot. Maintaining a relationship without letting drama affect you can be difficult, but it is possible. Share your own advice with us below!